New UK State Bank to Leverage Itself Nine Times? 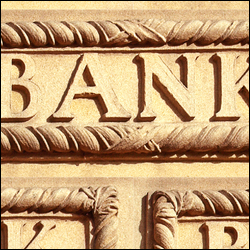 Plans for a state bank have been batted around for a while now. However, as with most things that politicians suggest and implement, it is unlikely to make a big difference in practice. For existing banks, it is yet another kick in the teeth as the government says 'since you are not lending to consumers and business, we will create a bank that will'. Despite this, it's not just politicians that have been telling banks to improve their balance sheets by holding more capital, but central banks have demanded it and regulators have made it a rule. The banking crisis, and subsequent sovereign debt crisis, has caused far worse growth in the major economies than had been previously expected. As a result, it has become very difficult/risky for banks to lend. This is why it's so hard for businesses to get loans and homeowners to get a half-decent, competitive mortgage. If the Eurozone crisis does worsen, with countries exiting the currency union, then this will probably knock the banks again, so it's is no wonder they are being so cautious. Nevertheless, we are told, the new state bank will be the answer all our lending woes. Something that also raises a significant amount of concern is that this new bank plans to leverage itself nine times. Still, at least lenders to it will have some solace in the fact that they are lending to what is currently considered to be a safe haven state. The only good thing about the plan is that the government will have no problem in recruiting bankers, since there are so many that have been made redundant of late.